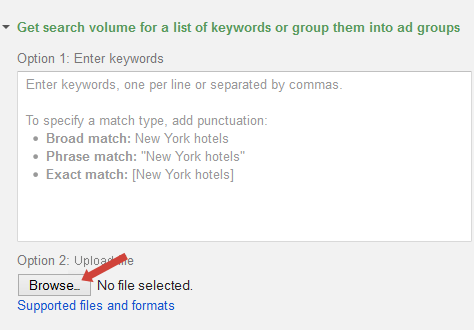 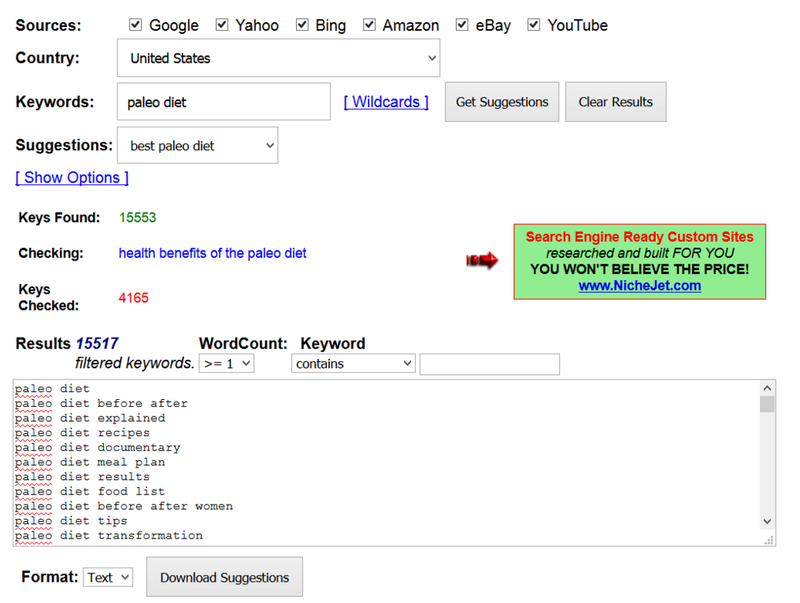 The downside is that the generated keywords come without metrics (no volume, no competition). 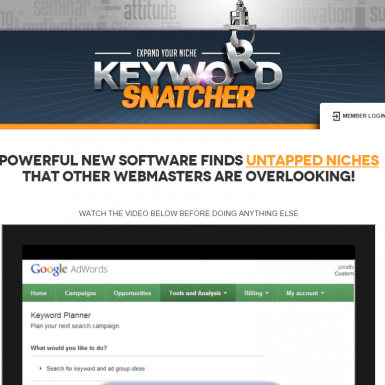 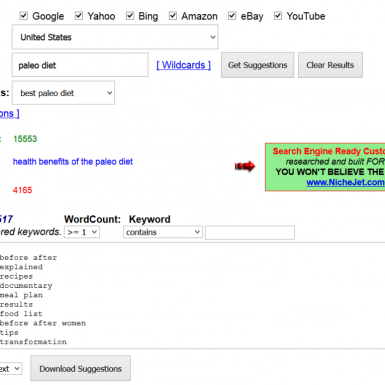 The tool is just for keyword generation – that’s it. 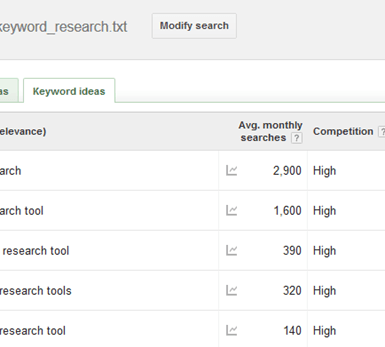 Use Google Keyword Planner to get the metrics. 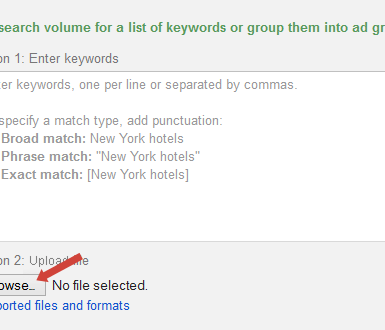 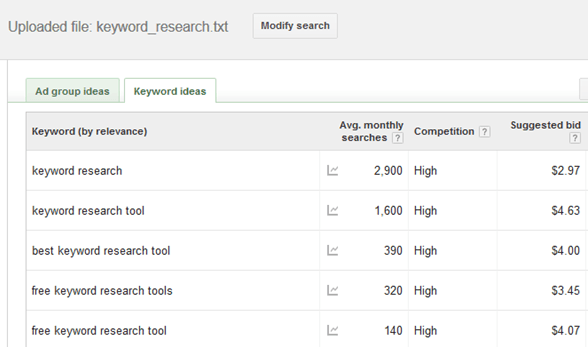 Go to the Google Keyword Planner and choose “Get search volume for a list of keywords…”.